Pesticides. Conventional growers use synthetic pesticides to protect their crops from molds, insects and diseases. When farmers spray pesticides, this can leave residue on produce. Organic farmers use insect traps, careful crop selection (disease-resistant varieties), predator insects or beneficial microorganisms instead to control crop-damaging pests. Some people buy organic food to limit their exposure to these residues. Organic produce typically carries significantly fewer pesticide residues than does conventional produce. However, residues on most products — both organic and nonorganic — don't exceed government safety thresholds. One common concern with organic food is cost. Organic foods typically cost more than do their conventional counterparts. Higher prices are due, in part, to more-expensive farming practices. Because organic fruits and vegetables aren't treated with waxes or preservatives, they may spoil faster. Also, some organic produce may look less than perfect — odd shapes, varying colors or smaller sizes. However, organic foods must meet the same quality and safety standards as those of conventional foods. • Reduced risk of health problems is often associated with the consumption of organic food. • Organic food contains phenolic compounds, which protects our heart from cardiovascular diseases and reduces the risk of cancer. 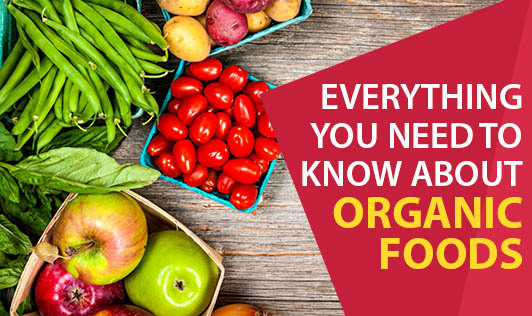 • Since organic foods are treated with manure, they are considered better than the other foods, which are often treated with pesticides, herbicides and chemical fertilizers, when they are grown in farms. • Organic foods are grown using natural fertilizers so there is no involvement of artificial fertilizers in organic farming. • Organic farming is better for ecological health than non-organic farming. Buy fruits and vegetables in season when possible. To get the freshest produce, ask your grocer what day new produce arrives. Or buy food from your local farmers market. Wash and scrub fresh fruits and vegetables thoroughly under running water. Washing helps remove dirt, bacteria and traces of chemicals from the surface of fruits and vegetables. Not all pesticide residues can be removed by washing, though. You can also peel fruits and vegetables, but peeling can mean losing some fiber and nutrients.